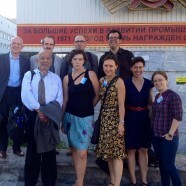 Between 08 and 13 July 2012 nine planning professionals took part in an ISOCARP UPAT workshop in Perm, Russia. One of the challenges facing Perm in the future is changing its identity from that of an industrial city into a knowledge hub and a science city on the border of Europe and Asia. 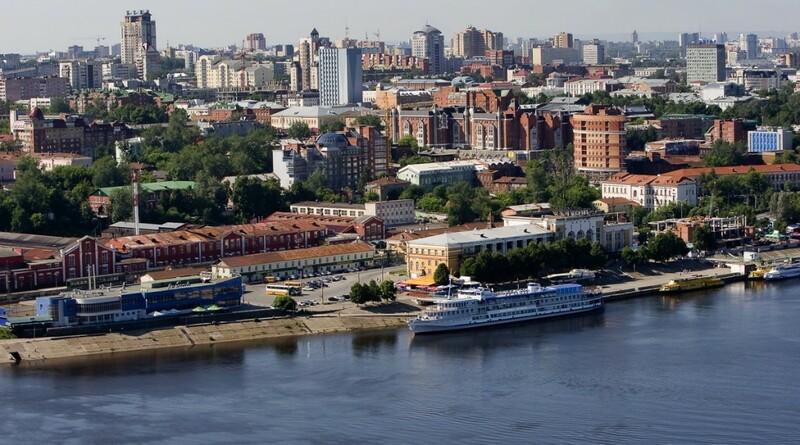 The city of Perm, which has slightly fewer than 1 million inhabitants, hosts no less than eight different universities that are spread around the city. 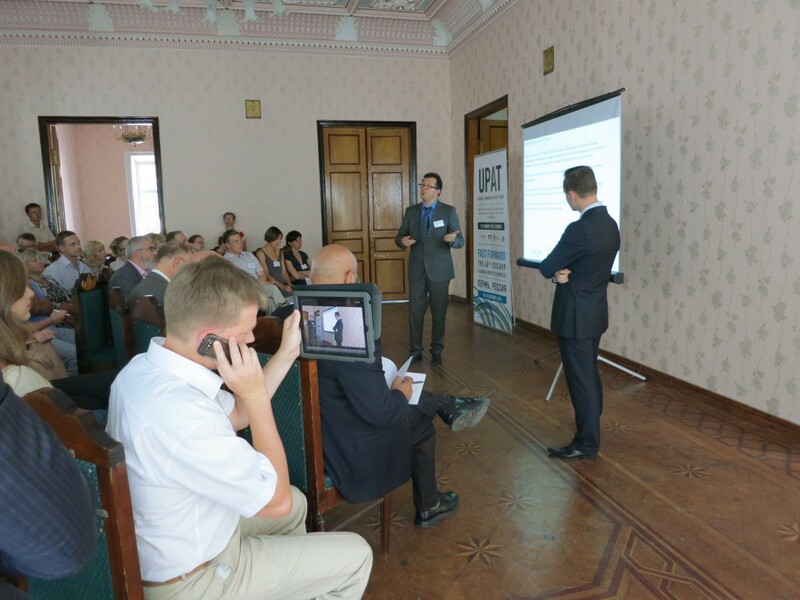 The question was whether and how this group of universities and their research institutes will be able to contribute to the new identity and function of Perm and how the universities and the City of Perm can benefit from each other in the most positive and productive way. Adapting and enhancing the values of the identity of a knowledge hub and science city are a necessity to retain the vitality, competitiveness and liveability of the region and City of Perm for the next decades. The international Society of City and Regional Planners (ISOCARP) is a global association of experienced professional planners. ISOCARP has 800 members in more than 80 countries. 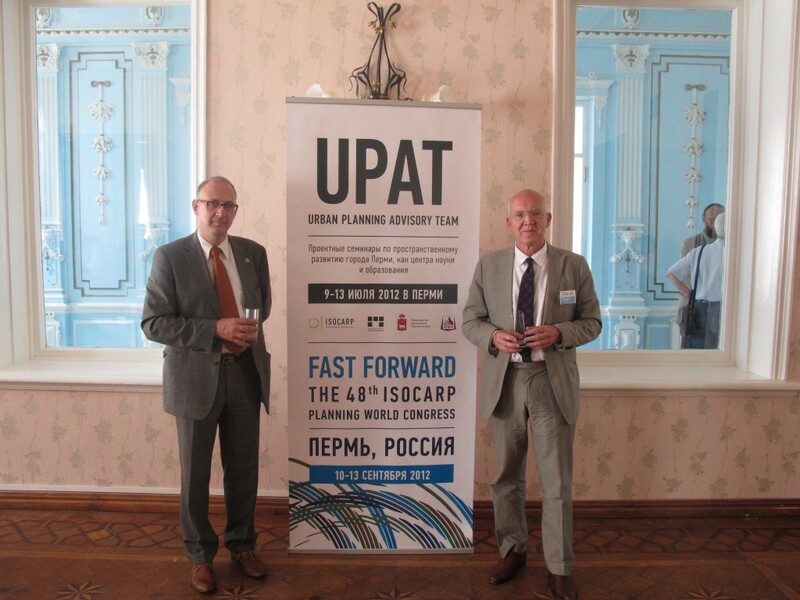 The objective of an ISOCARP Urban Planning Advisory Team (UPAT) is to offer the extensive planning experience and expertise of ISOCARP members for international planning projects, programs and policies. The assignment of the ISOCARP Perm UPAT Team was to contribute to a vision, a strategy and practical steps towards developing Perm into a science city. The City of Perm, the Perm Region, the Ministry of Education and the Academic Society have a shared interest in these aims. This assignment required an analysis of the way the city and the universities and other knowledge institutions relate to each other and of how they can benefit from each other in the most positive and productive way. Our assignment consisted of developing recommendations for the city and the region at different dimensions, time scales and modes of abstraction (practical and institutional) that aim at better interaction and functioning between city and the knowledge institutions and, last but not least, between these institutions themselves. The ISOCARP UPAT team comprised the following members: Martin Dubbeling, the Netherlands (ISOCARP Vice Presidents UPATS), Pietro Elisei Italy/Romania (Team Leader), Jaap Modder, the Netherlands (UPAT Rapporteur), Dhiru Thadani, India/USA, Nicole Wirz, Switzerland, Silja Tilner, Austria, Fedor Kudryavtsev, Russia, Yana Golubeva, Belarus and Irina Saghin, Romania. The UPAT Team members were requested to share their knowledge and experiences. The UPAT team has formulated a vision of Perm as a knowledge hub and science city based on an analysis of the city and a survey of global trends and best practices of synergies between cities and universities that are applicable in Perm. The intention is that this vision should lead to a strategy and to practical solutions and steps to be undertaken by the Ministry of Education of the Perm Region and the City of Perm in order to make this vision reality. Through the week, the team interfaced with academic stakeholders, local planners, and city officials — downloading their knowledge of the various available sites for redevelopment as well as meeting with administrators from the various colleges. In Perm, the colleges are randomly scattered around the urban core leading the team to conclude that it would be best for these disparate institutions of higher education to pool resources and use the urban fabric of the city as their campus. This strategy could foster collaboration and help incubate centres of excellence within the proposed networked knowledge hub. An earlier proposal to move the knowledge base to the outskirts of the city was discouraged. The Perm UPAT “Knowledge Hub and Science City” is of strategic importance. In many cities around the world, cities prosper and thrive because of the presence of the universities, the highly qualified jobs they provide directly and indirectly to the inhabitants of those cities and the vibrant and diverse lifestyles of students. The first objective for this UPAT is to provide a vision for the Region and the City of Perm as a knowledge hub and science city based upon global trends and best and worst practices related to cities and universities. The second objective for this UPAT is to provide a strategy, principles and practical steps and solutions towards 2020. 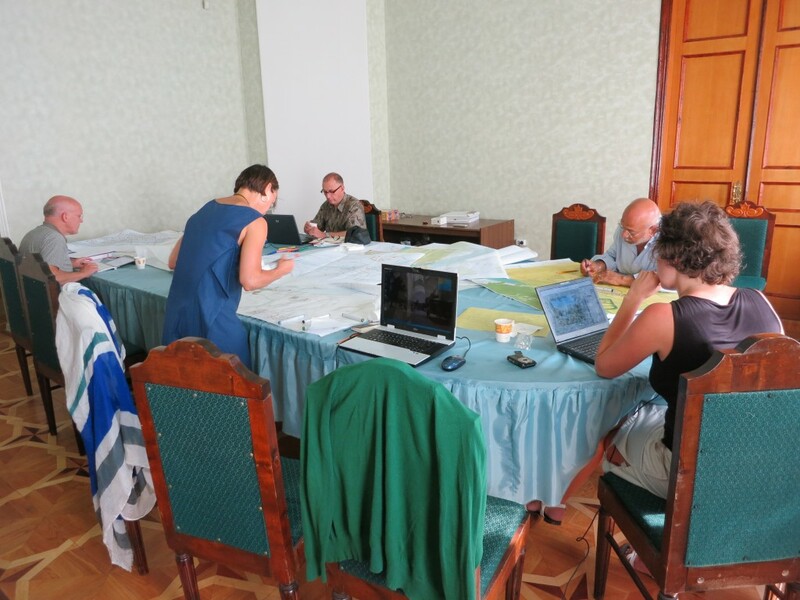 The solutions proposed aim at exploiting all infrastructure, equipment and intangible assets that could help the city of Perm to develop a coherent and effective urban strategy that would lead Perm towards becoming a “knowledge hub”. The infrastructure and assets characterize not only the urban fabric, understood in the physical sense, but also the civic fabric. By acting on these structural means a paradigm shift can be implemented and a local economy triggered where knowledge is a catalyst for new development processes and for a matrix that generates a new, robust network of economic, social and cultural rights. At the end of the intense week the UPAT team presented their findings, analysis, and proposals to an eager audience, who seemed genuinely pleased with the suggestions. The UPAT workshop provides a forum for the sharing of ideas, providing guidance, and making strategic planning recommendation to a community or city.